I will be spending my days writing for JudyGarlandsRubySlippers.com, and make one of the world's best ruby slippers so I won't be active on Lao Pride Forum for a while so please forgive me for any delays in responding. I will forgive and wont forget. Judy Garland's stunning ruby slippers is nearing completion. I need to work on the bows, and other minor bits and pieces and she'll be right to go. 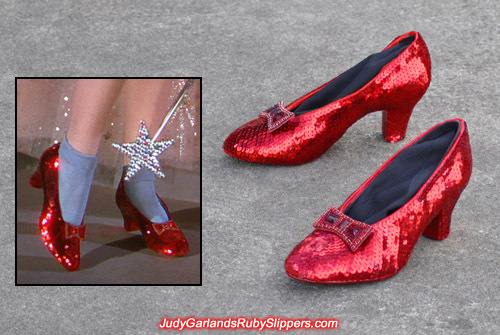 Judy Garland as Dorothy would be walking proudly with this pair of size 5B ruby slippers on the Yellow Brick Road in The Wizard of Oz. I'm very satisfied with the overall shape of the ruby slippers. 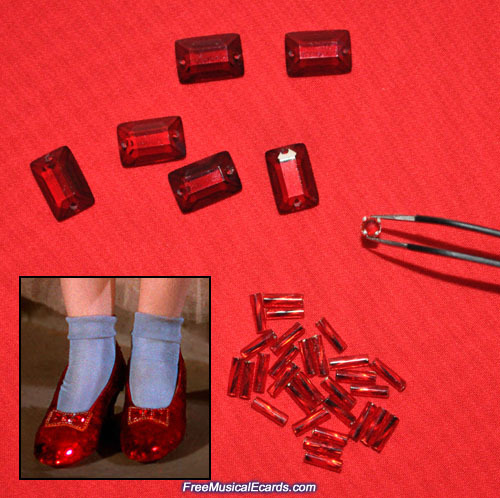 The bows and jewels are as perfect as you can get to the ones on the original ruby slippers. 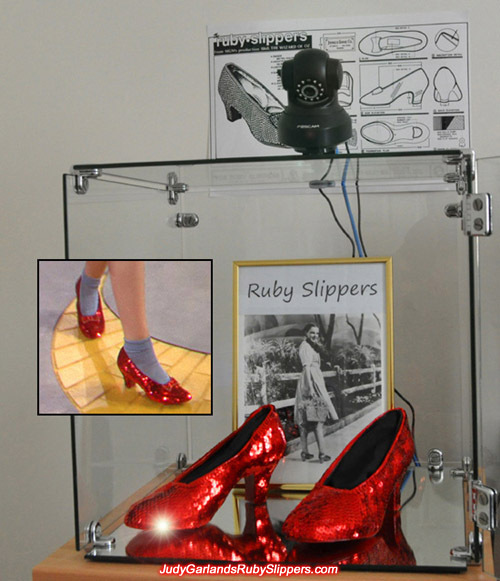 They are wearable but due to their vintage nature, this replica ruby slippers will be locked inside a glass case for display purposes with an alarm and some surveillance cameras. This particular bow was deliberately aged and made rough to match the bows as they appear on the original ruby slippers today. If you look carefully, you can see a piece of fabric between the jewels and leather bow. All the jewels, although very tiny, are sewn onto this piece of georgette fabric overlay. Once completed, this georgette fabric overlay is then sewn onto a thin leather bow on the bottom. You can see bits of red threads along the edges of the bow. There's no glue used on any part of the bows, everything involves sewing and this is the same technique that MGM used to make the bows on the original ruby slippers. They are put in safe box in Lao? They are stored a glass case as shown in the above picture. I am currently making more ruby slippers so that will be keeping me incredibly busy. There is also an arrangement for Judy Garland as Dorothy's size 5 checkered gingham dress to make its way to Laos so that's something very exciting to see on this forum in the coming months. The dress is made in China? No, what would the Chinese know about Dorothy dresses? It's made in America. The pattern and the measurements has to be precise. Very expensive, I won't mention it.